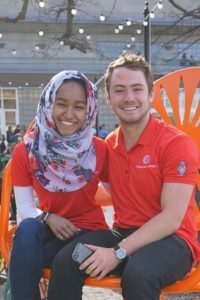 In our last newsletter issue, we asked for your help in supporting the Student Leadership Endowment Fund on Day of the Badger through giving and spreading the word about giving. We, at the Wisconsin Union, are grateful for every tweet, Facebook post, email, conversation and gift that helped us reach our goal of raising $4,000. By noon, we had surpassed our goal. Combined with a generous matching gift from the Wisconsin Union Association of $4,000, we raised $12,600.00. These dollars will change lives, both those of our student leaders and the lives of others that they will positively impact. Day of the Badger was a short time during which Badgers and Badgers-at-heart came together to support campus causes, like the Wisconsin Union. In the 1,848 minutes that followed the launch of Day of the Badger, our team saw 59 generous individuals donate to the Student Leadership Endowment Fund. 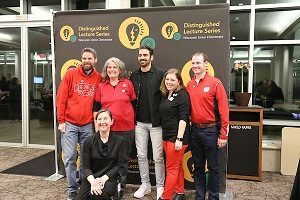 The Wisconsin Union Directorate Distinguished Lecture Series Committee and the McBurney Disability Resource Center presented “Living Out Loud: An Evening with Nyle DiMarco” on Jan. 30, 2018, at Memorial Union’s Shannon Hall. This fund helps us provide academic stipends to Wisconsin Union Directorate officers, directors, and club presidents. With these stipends, we recognize the countless hours they spend making more than 2,000 experiences for a lifetime possible each year. While Day of the Badger has ended, our fundraising efforts continue for this fund and others that support the work of our team, including our talented student leaders. To learn more about additional giving opportunities, please visit union.wisc.edu/donate, or contact Annual Gifts Manager Daniel Plummer at (608) 890-1997 or dplummer@wisc.edu.